Ordinarily I would ignore something like this. Light engines are bad enough, but a Class 67 light engine is hardly worth photographing! However, as I was already in position waiting for 50049, and the light was perfect, I relented. The fact that this particular 'Skip' is in Arriva blue livery was the clincher. 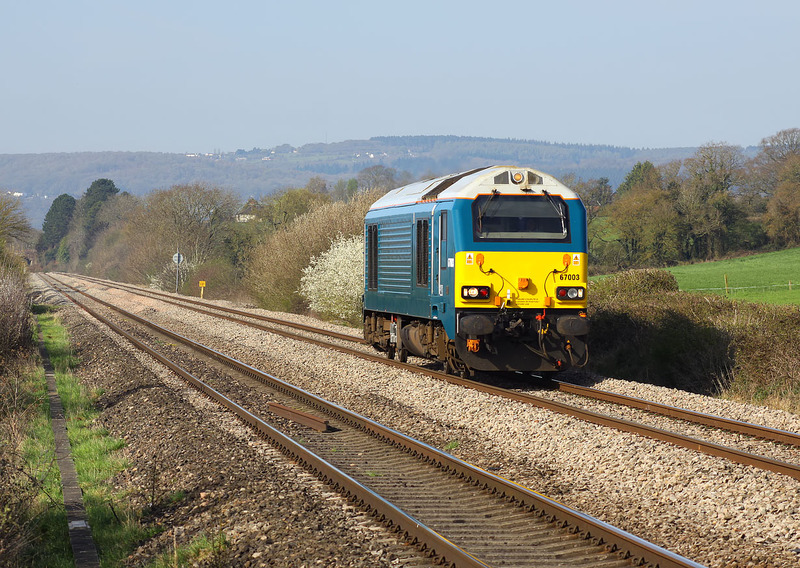 67003 passes Broken Cross on 29 March 2012 with the 0Z60 08:59 Cardiff Canton to Gloucester driver training trip.